Die cut PP and teal panels; layer and and adhere to card. Stamp sun and go over with paint pen. Add stem and leaves by dotting with paint pen. Adhere sentiment and trace shadow around letters with white pencil. Lovely card. 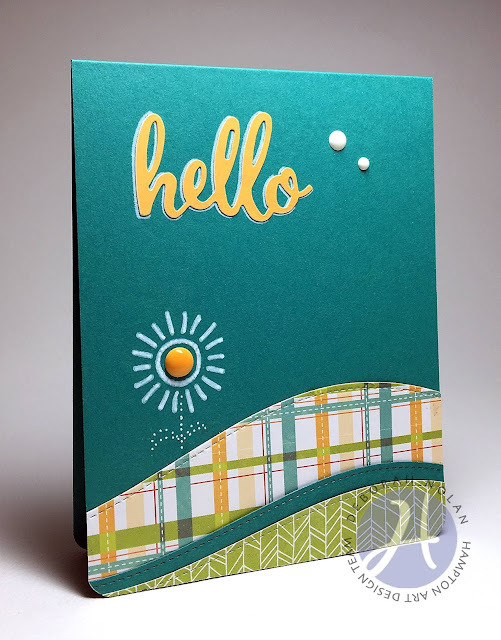 I love making "Hello" cards. Thanks for the inspiration.